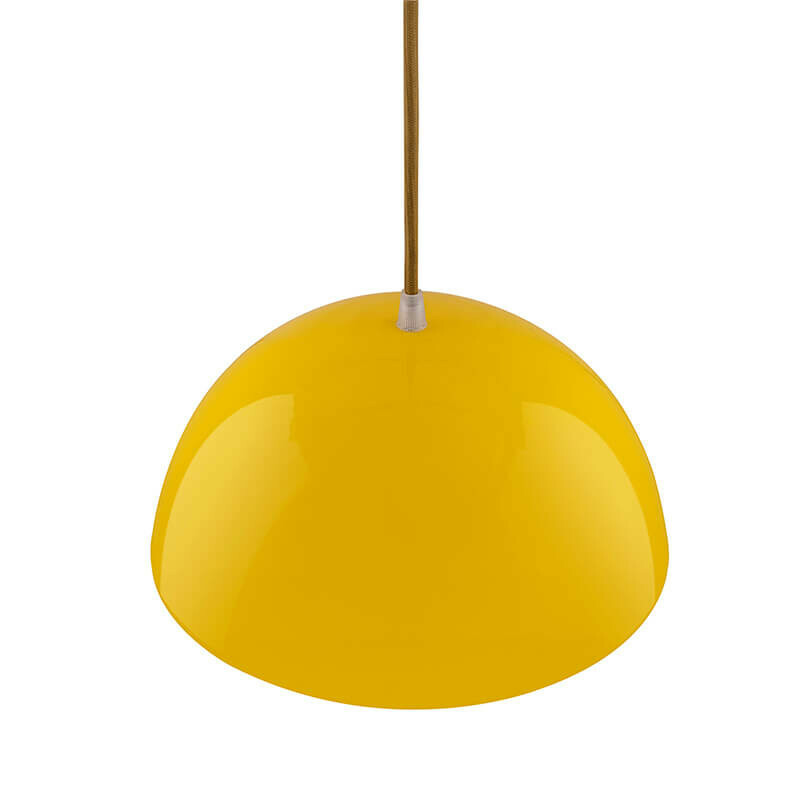 Metallic Yellow Glossy Pendant Hanging Light, Hanging Lamp 10"
Unique metal pendant lamp - aged Yellow and White inside finish twisted wire plugs into any wall outlet. Includes hooks, clamps and switch. Classic industrial style dome design fits well with any country, rustic, primitive, industrial, or shabby chic decor. 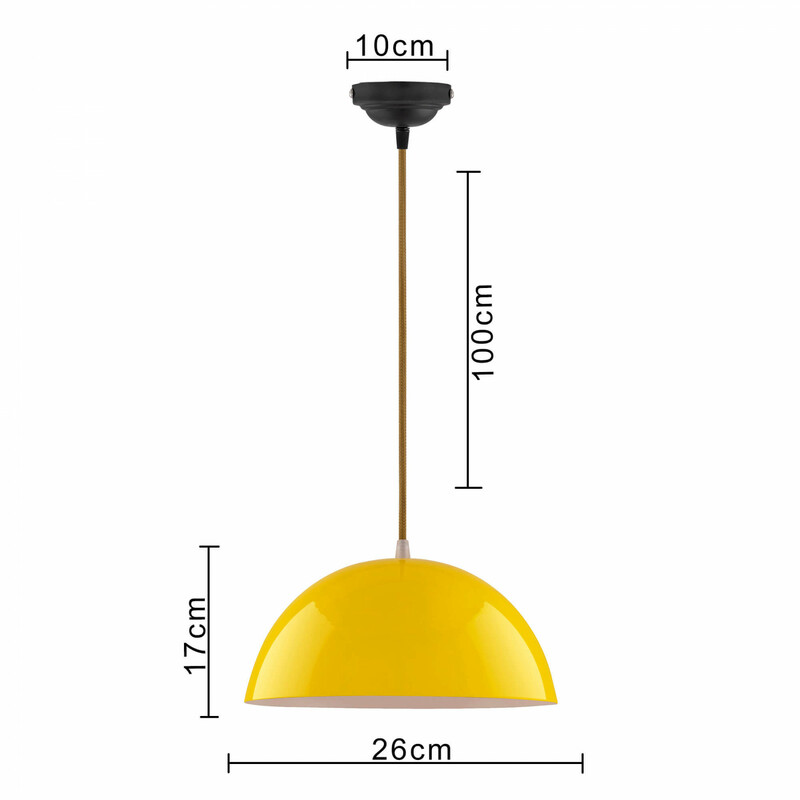 Pendant light cord pulleys are available for purchase as well to add a nice industrial look to your lamp high quality 100 percent aged black deposit finish insures a long lasting attractive finish. 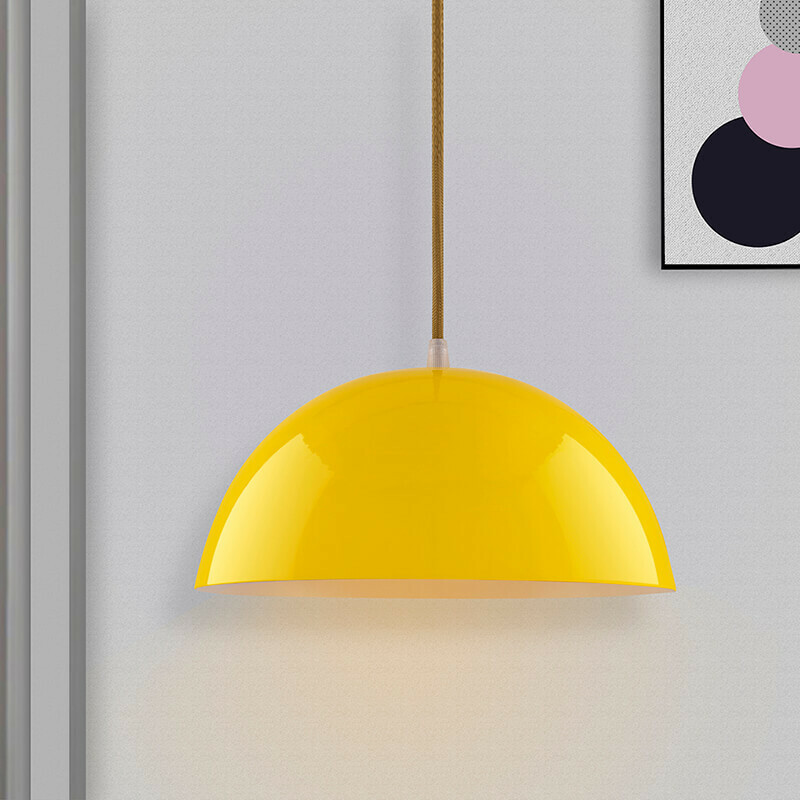 These lamps plug into any wall outlet; no wiring required. These are wired for plug in installation. 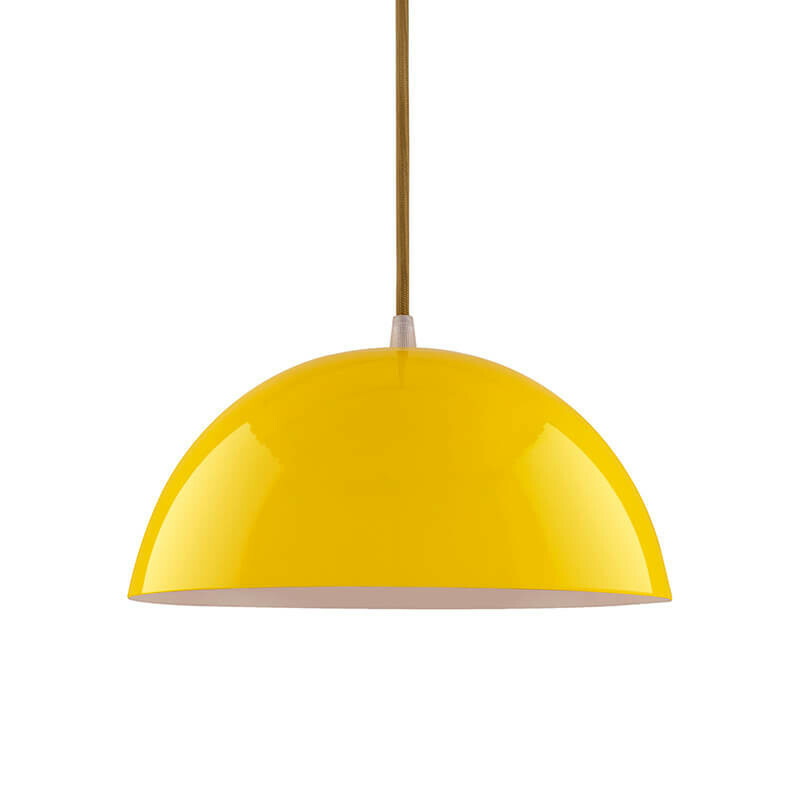 You're reviewing: Metallic Yellow Glossy Pendant Hanging Light, Hanging Lamp 10"